If you are on the fence about installing replacement windows and doors in your home, the best thing you can do is learn about the advantages from these upgrades. 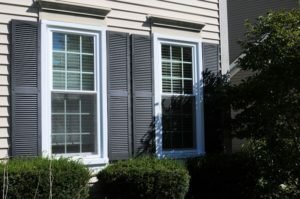 It is amazing to see the difference it can make to install new windows in your Northbrook, IL property! Does your home look welcoming and well-maintained from the outside? The outdoor appearance of your property is known as the “curb appeal.” Even if you aren’t trying to sell your home right now, you need to consider how the appearance of your home is impacting the impression people get when they come to visit. Exterior appearance sets the first impression when people walk up to your door. A well-maintained home is welcoming and inviting. On the other hand, a run-down home might not be appealing to people who come to visit. You need to be sure that you are putting your best foot forward when you invite friends and family over. When you choose replacement windows, consider how the style will affect the overall appearance of your home. It is amazing to see the difference it can make to upgrade your windows! Get rid of the old glass and frames and install higher quality materials instead. As you make these upgrades, you will also see an improvement inside your home. These new windows can help with your interior décor goals. It is nice to have a home that looks good, but appearance isn’t everything. If the windows look great, but they are hard to use, you might get frustrated when you try to open them. As you are choosing the materials for your replacement windows, also consider the way the materials will impact the long-term function of the windows. First, you need to consider how easy it will be to open the window panes. When the weather warms up, you want to be able to open the windows with ease to let in the warm breeze. Talk to our team at Scientific Home Services Ltd for information about different window designs. We will help you choose the function that works best for your family. Another functional benefit is the energy efficient improvements that are available. Old windows and doors tend to be leaky and drafty. When the outside air is coming into your living space, it is hard to maintain the temperature without running the HVAC system more frequently. Installing high-quality, energy-efficient windows is a great way to seal your home and improve the efficiency of your heating and air conditioning system. As a result, your energy usage will go down. Did you know that energy efficient windows can offer a financial benefit to your family? When the windows are sealed and your energy usage goes down, you will notice a difference on your utility bills. If you are planning to invest in replacement windows and doors, make sure you select energy efficient features. This investment will help you save money in the future! The savings can add up over time, helping you manage your family finances. Not only will you save money on utilities, but you will also enjoy the advantages of higher property value. If you want to sell in the future, you will be able to ask a higher price for your home. That money can be rolled into the purchase of another home for your family. The investments you make in your home will have a direct impact on your overall lifestyle. If you are proactive to create a luxurious, comfortable living environment, you will enjoy the time you spend at home with the family. Walk through each room and decide how comfortable it is to live in that space. Replacement windows and doors improve comfort in several ways. First, they create an improved appearance to make your home luxurious. Additionally, high-quality windows help by blocking out neighborhood noises. You can rest in peace when you don’t have to hear the sounds coming from the neighbor’s house. It is easy to see the many benefits of replacement windows and doors. 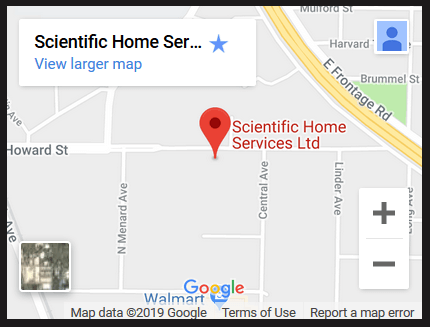 When you are ready to improve the quality of your Northbrook, IL home, we invite you to contact our team at Scientific Home Services Ltd. Our showroom is located at 5639 W Howard St, Niles, IL 60714. Stop by to see the showroom, or call ahead to schedule an appointment: (847) 752-0370.